But change is good, and Pattinson hopes to tweak perceptions of him with a role in David Cronenberg’s Cannes-bound Cosmopolis, which has already put out an impressive teaser. Just keep your reactions in check, would you? “I’ve been doing movies for eight years and I’ve been criticized often and all of a sudden, this teaser is released and everyone is excited,” Pattinson laughs. “‘It looks great! His acting is good in it!’ It’s ridiculous! I’d like to ask a question to those people who think I just started acting well: What do you think I was doing in Twilight? Do they think it’s how I act naturally? No, I had to make decisions as an actor. 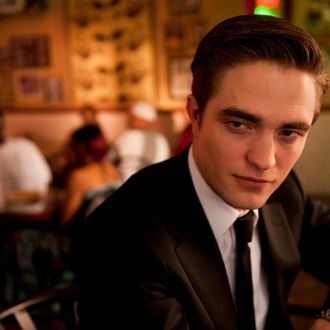 I find it funny when I read stuff like, ‘Will Cosmopolis finally prove that he can act?’ What does that even mean?” Hmmm? Josh Hutcherson has a new tattoo? We’re on it!